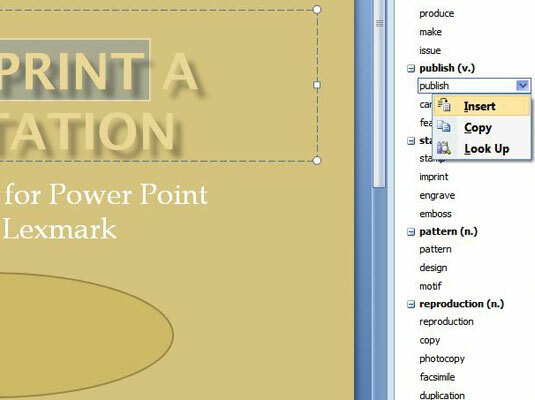 1Right-click a word that you’ve typed and choose Synonyms from the menu that appears. 2Select the word that you want to use to replace your word. 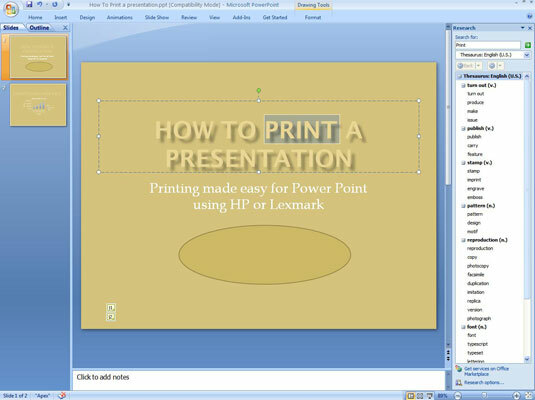 PowerPoint replaces the original word with your selection. 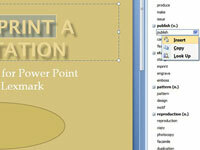 3Choose Thesaurus from the Synonyms menu. 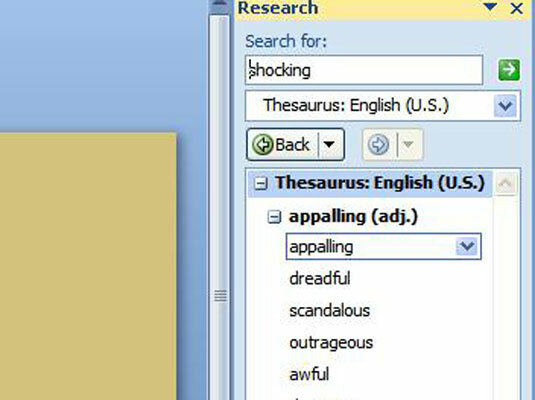 The Thesaurus section of the Research task pane appears with the synonyms listed. The Thesaurus lets you look up words to find even more synonyms. 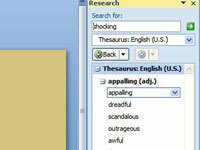 For example, if you select shocking from the list of synonyms, you get another set of words. You can keep clicking words to find other synonyms.